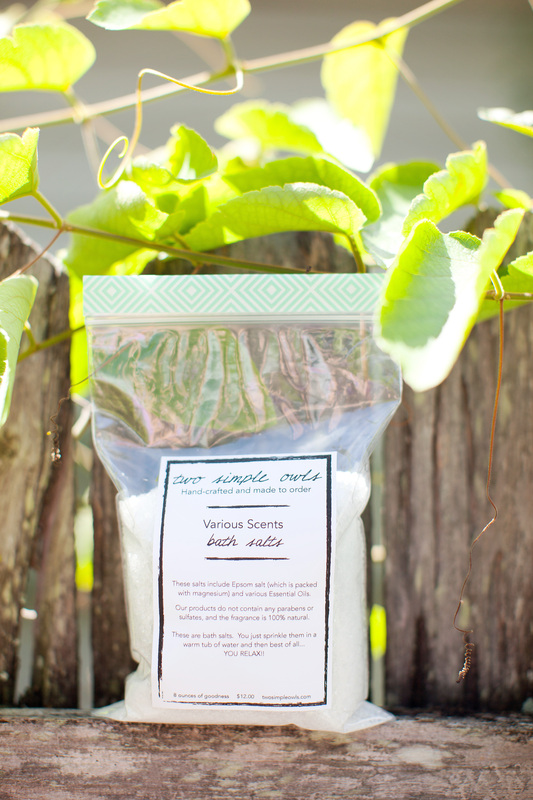 Our Soaking Salts are made with a base of Epsom Salt and various Certified Therapeutic Grade Essential Oils. SALTY LAVENDER: Lavender Essential oil is created by steam distilling the flowering top. This oil has analgesic, antidepressant, antimicrobial, antiseptic, and anti-fungal properties. Although it’s great for balancing the mind and body, it also can help with anxiety, headaches, insect bites, and skin conditions (eczema, rashes, and psoriasis). SALTY LIME: Lime is created by cold expressing the oil from the rind/peel. it has antiseptic, tonic, antibacterial, antiviral, and restorative properties and has been used for anxiety, soothing broken capillaries, dissolving cellulite, energy, memory improvement, and promoting a sense of well-being. SALTY SUNSHINE: Lemon, Grapefruit, and Wild Orange are amazing essential oils that have tons of qualities.. but it’s best quality, is that it’s a known anti-depressant. All three essential oils are created by cold expressing the oil from the rind/peel and all three have antiseptic and tonic properties as well. Lemon also has anti-fungal, antioxidant, antiviral, astringent, and refreshing properties. It’s been used for anxiety, bites/stings, cold sores, a disinfectant, MRSA, postpartum depression, stress, soothing broken capillaries, dissolving cellulite and more. Grapefruit also has disinfectant properties and has been used for cellulite, hangovers, stress, depression, and fatigue. Wild Orange has been used for anxiety, nervousness, complexion, muscle soreness, and wrinkles. How can you be sad when you’re smelling sunshine in a bath? SALTY ROSEMARY + MINT: Peppermint Essential oil is made by steam distilling the peppermint leaves. It has analgesic, antibacterial, antiseptic, antiviral, and most of all invigorating properties. It’s been used on everything from alertness, chronic fatigue, nausea, headaches, MRSA, depression and many many more. The menthol in it gives you that cooling sensation which can feel great on sore and achy muscles. Rosemary Essential Oil is made by steam distilling the flowering plant. It has antibacterial, antioxidant, anti-fungal, and anti-infectious properties. This oil has been used for cellulite, detoxification, fatigue, and even headaches. SALTY PEPPERMINT: Peppermint Essential oil is made by steam distilling the peppermint leaves. It has analgesic, antibacterial, antiseptic, antiviral, and most of all invigorating properties. It’s been used on everything from alertness, chronic fatigue, nausea, headaches, MRSA, depression and many many more. The menthol in it gives you that cooling sensation which can feel great on sore and achy muscles. No agua, No problem! 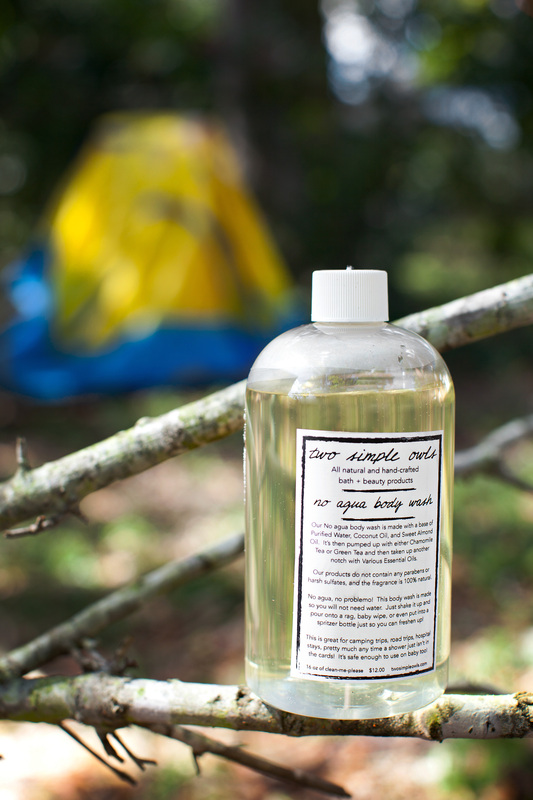 Our No Agua Body Wash is made for you to clean yourself without the need for water…hence the name! This is great for camping, hospital stays, road trips… pretty much any time that a shower just isn’t in the cards! It’s safe enough to use on baby too! Instructions: Shake before every use! Oils will naturally rise to the top. You can pour onto a rag, cotton ball, or even baby wipes and then just rub where you need cleaned! Suggestions: Dry out a pack of baby wipes and pour this in. It’s gentle and great to use with disposables and cloth wipes. You can use this to clean your newborn before the umbilical cord falls off. Base Ingredients: The base is made of purified water (no tap in our products! ), Grapeseed Oil, and Melaleuca Essential Oil. We amp it up with either Green Tea or Chamomile Tea and then go up another notch with different blends of Essential Oils. Water is a great and natural base for any solution and we use purified water (no tap water in our products)! Grapeseed Oil contains the fatty acid, linoleic acid, this makes it a good solution to improve/cure various skin conditions, such as acne. It an also assist in preventing the pores from clogging and even contains anti-inflammatory properties. This oil has been known to stimulate biological tissues to contract and draw together, thus helping reduce swelling and helping with reducing signs of aging. It is very light and can easily be absorbed by the skin and not leave any oily residue, which also makes this great for sensitive skin. Melaleuca Essential Oil is created by steam distilling the leaves. It has antibacterial, anti-fungal, anti-infectious, antiseptic, antiviral, and tissue regenerative properties. It’s great uses include healing cuts, wounds, skin infections, and rashes, along with it’s aromatic influence to promote cleansing and purity. You receive 16 oz of clean-me-please for $12.00! Chamomile: This is made with the base and Chamomile Tea. Chamomile tea is known to be very calming. It can help soothe burn pains, skin irritations, and can be used to treat acne. Green Tea: This is made with the base and Green Tea. Green tea has natural antioxidant properties, and these are found to be key to its skin-protective qualities. We’re not saying use this in leu of sunscreen, it’s actually a great assistant to it because it appears to exert sun damage protection by quenching free radicals and reducing inflammation rather than by blocking UV rays. Most of the polyphenols in green tea are catechins. Catechins, which are antioxidants by nature, have also been shown to function as anti-inflammatory and anticancer agents and the polyphenols in green tea also had anti-inflammatory and anticancer properties. Chamomile + Lavender: This is made with the base and Chamomile Tea + Lavender Essential Oil. Chamomile tea is known to be very calming. It can help soothe burn pains, skin irritations, and can be used to treat acne. Lavender Essential oil is created by steam distilling the flowering top. This oil has analgesic, antidepressant, antimicrobial, antiseptic, and anti-fungal properties. Although it’s great for balancing the mind and body, it also can help with anxiety, headaches, insect bites, and skin conditions (eczema, rashes, and psoriasis).